Telugu script is stated to be an abugida and it belongs to the Brahmic family of scripts. 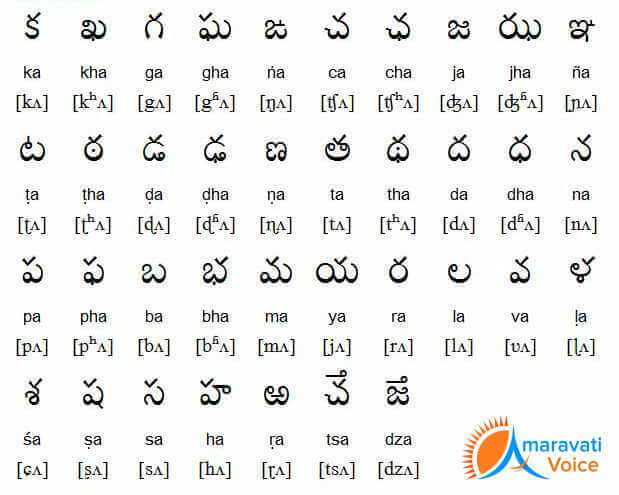 The Brahmi scripts are used to write in Telugu, which is talked in the south Indian states of Andhra Pradesh and Telangana and also in other neighbouring states in South India. The script of this language is known to have gained prominence during the Vengi Chalukyas era. The important thing to remember about Telugu script is that it shares many similarities with that of the script of Kannada language. Where was the early evidence found? You might be surprised to know that the earliest evidence of Brahmi script in South India came from Bhattiprolu, Guntur. The calligraphy was found on an urn that contained the relics of Buddha. The calligraphy was given the name as Bhattiprolu alphabet. Historians are of the opinion that this calligraphy would have been the foundation stone for the Telugu and Kannada scripts. From the inscriptions, it is believed that King Kuberaka was ruling over the Bhattiprolu region around 230 BC. This is a variant of the Brahmi Script and it was found in old inscriptions at Bhattiprolu, which is a small village in the Guntur District of the state of AP. It is actually located in the fertile Krishna river delta. The inscription dates to 3rd to 1st century BCE, thereby turning out to be the earliest evidence of Brahmi writing in Southern India. Besides having much significance in the history, Guntur also has the significance of acting as the place of birth of Telugu script in the entire southern India.